Foxes can be cunning, but fox cubs can definitely be clumsy! 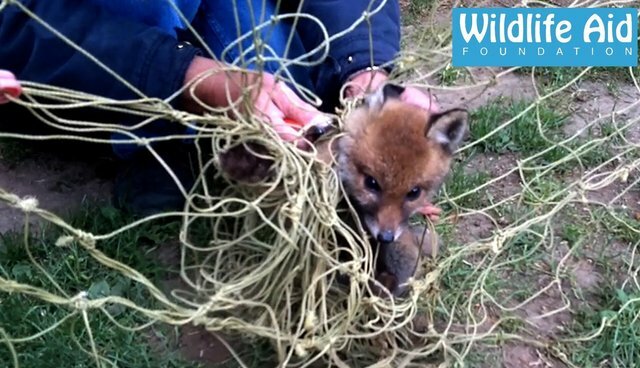 This poor fox cub was almost strangled in a football net. He struggled a lot and ended up with the net tightly wrapped all around his body. All of this could have been avoided by, simply, rolling up the net or putting it away. Thanks to the gentleman who spotted him so quickly, the cub was safely freed and released.